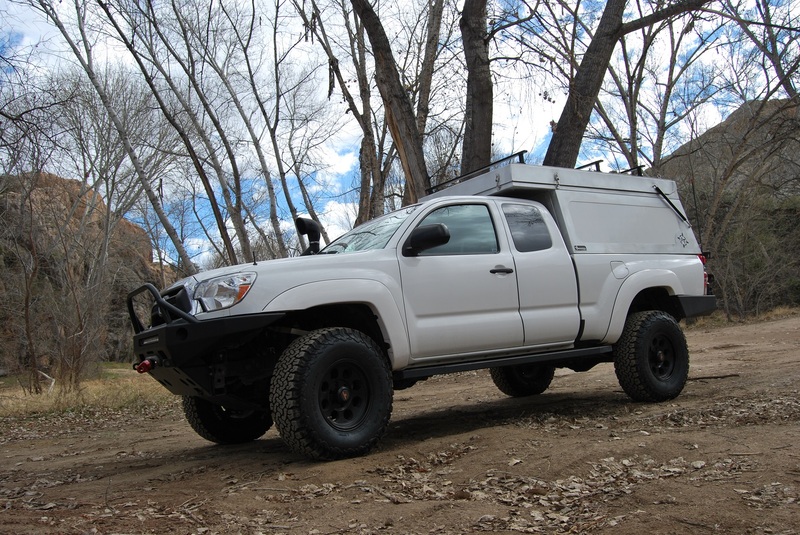 The Toyota Tacoma has always been a popular platform for exploring. 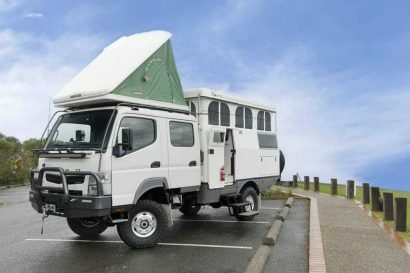 Its rugged nature, great reliability, respectable off-road capability, and of course moderate price range have made it a favorite among four-wheel enthusiasts and outdoorsmen alike; but the recent trend towards back-country touring has spawned an interesting change in the way these vehicles are being built out. 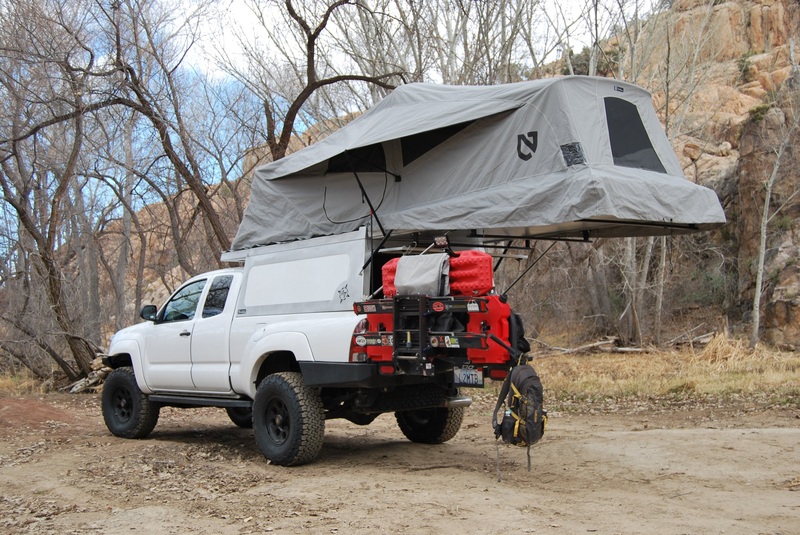 While 15 years ago most people were fine sleeping under a truck-cap, today they want a more spacious, comfortable, and livable space for longer trips. The first thought of course is usually a slide-in camper. They are widely available, very comfortable, and newer models can look quite stylish, but they are also heavy and expensive. What many people needed was something that bridged the gap between the simplicity of a truck-cap and the luxury of a slide in. 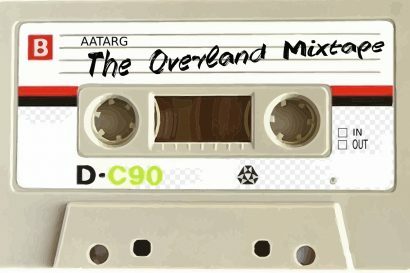 AT-Overland set out to give them just that. 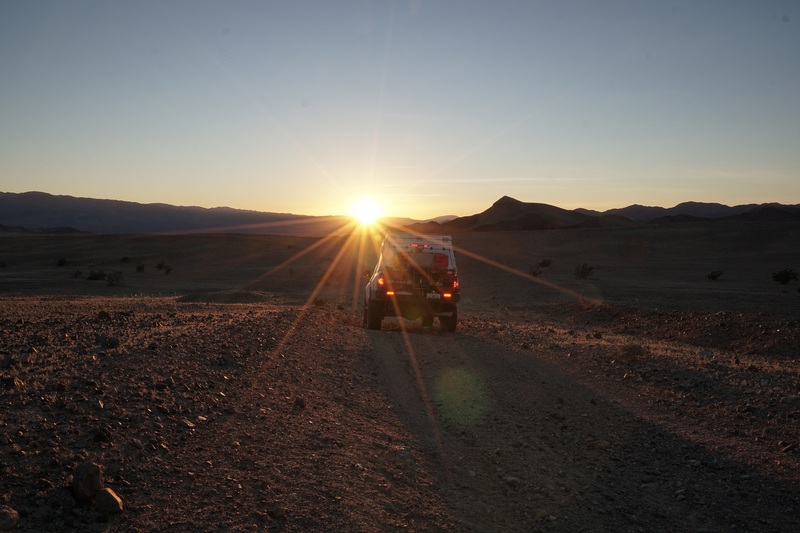 The result is their new Tacoma Habitat, a completely redefined version of their proven JK product. I’ll admit that at first I wasn’t that enthused by this revamp. Why? Because like you’re probably thinking right now, I assumed it was a FlipPac that just opened to the back. The closer I got though, the more I realized that this was a completely new animal. For starters the entire thing is constructed from lightweight aluminum and composites. This improves the life of the shell, as well as keeps the weight down to an impressive 340lbs. 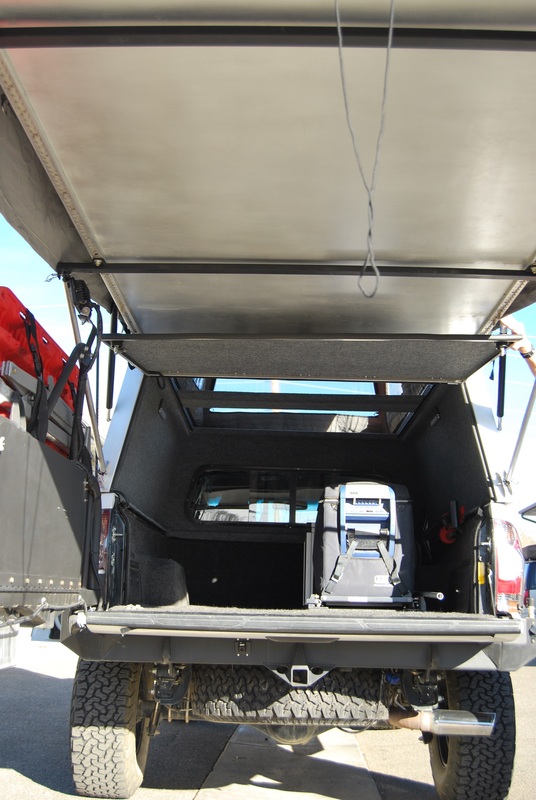 This new structure provides insulation for the walls, and includes the addition of new switch and power panels at the rear of the vehicle. These panels were some of my favorite features because they place the interior and exterior lighting switches, along with charging ports and accessories, right next to the rear door as well as the bed. This of course makes it easy to access whether you’re first opening the vehicle, cooking, or going to sleep. 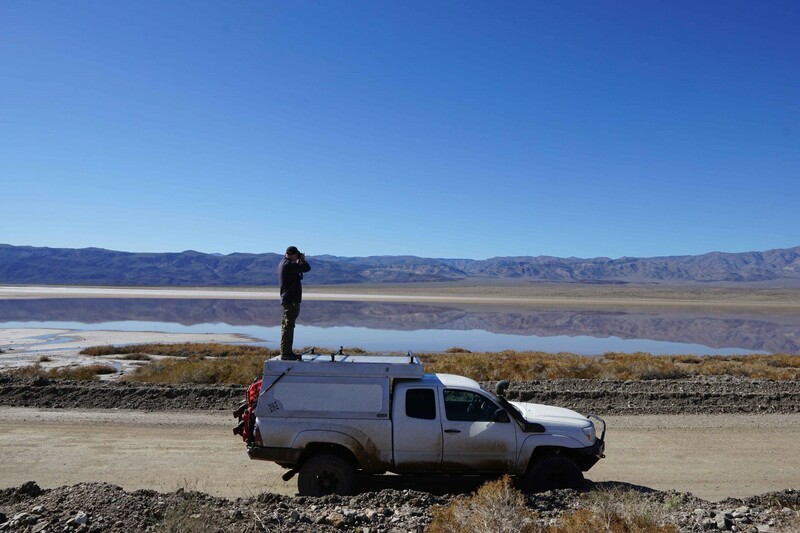 Like a truckcap, the Habitat doesn’t fill up the bed, but instead allows the owner to build it as they see fit. 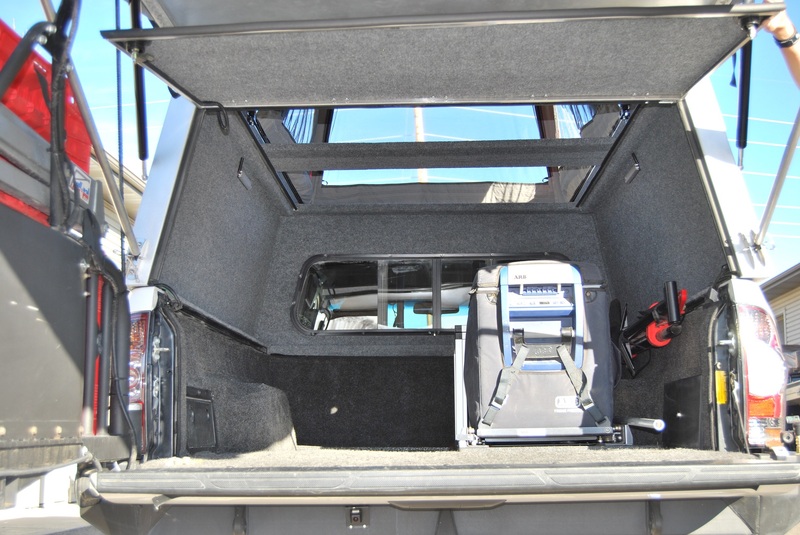 This particular truck featured a goose-gear drawer up front, with an ARB fridge in the rear, each of which can double as a bench while leaving the left side open for gear and to retain open living space. Other setups can include stepped drawer systems as stairs, a completely open bay for bikes or kayaks, or even a seating area with a low table. No two people’s needs are exactly the same, so why compromise with the layout? The Tacoma Habitat feels cavernous when open, and at 6’4″ tall I felt comfortable standing up and moving about the living quarters. And I do mean living quarters, as the tent has more than 7 1/2 feet of standing room in which to change, relax, work, or even play games while you wait out a storm. The sleeping area is no pup tent either, and utilizes the same great designs already found in the JK Habitat. The tent itself is Nemo Equipment’s waterpoof and breathable poly/cotton habitat specific unit with 15 feet by 4 feet of coverage and space. 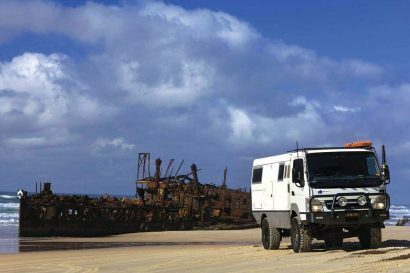 The bed, which takes up half of that area, is made of high density foam and supported by two 6061 aluminum rods running back down to the shell beneath it. 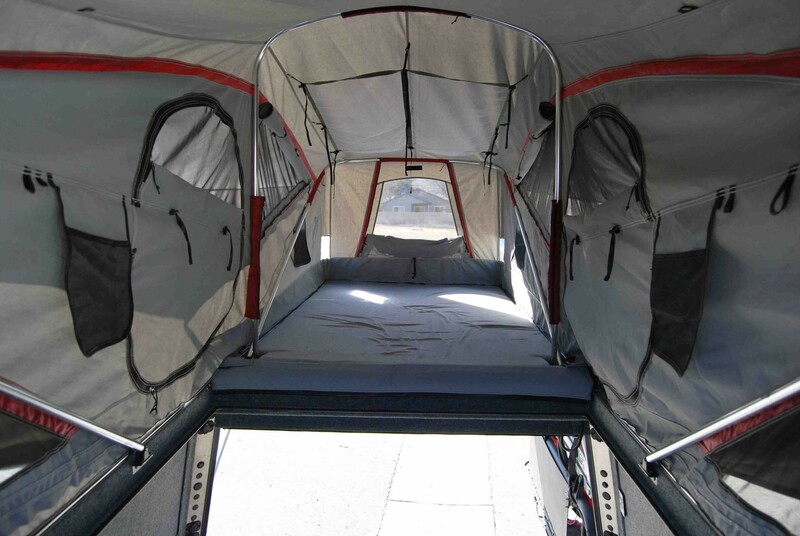 In addition to being comfortable, Nemo made the tent practical by incorporating overhead storage for clothes and other small items in easy access pockets. Note the round switches and charging ports in the bottom of the picture below. This clean and practical addition looks even better in person. 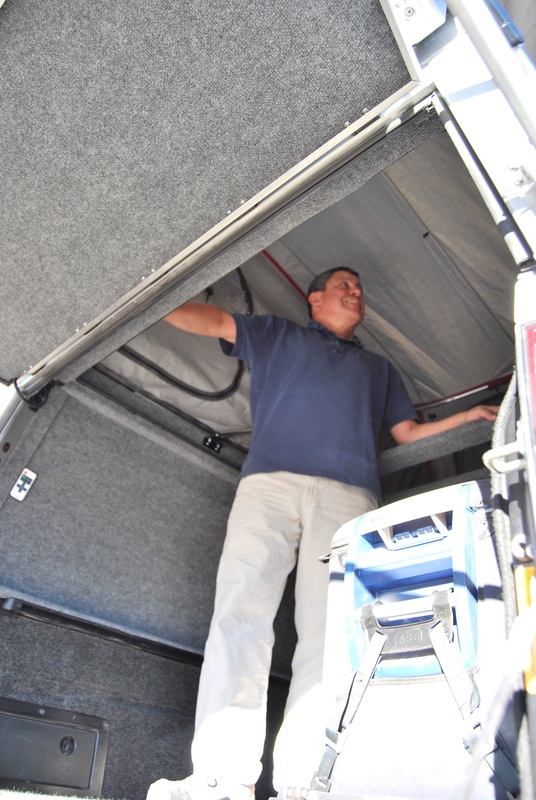 Mario spends over a third of every year traveling in his vehicle, often solo, so he understands the importance of an easy deployment and stowing process. 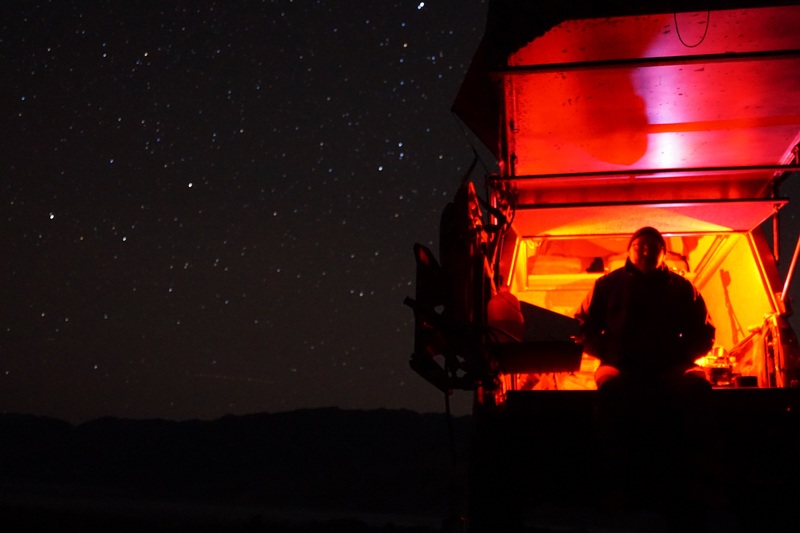 The new Habitat was designed to be managed by one person and thus it uses a robust set of gas springs to assist in operating the cantilever sleeping platform. 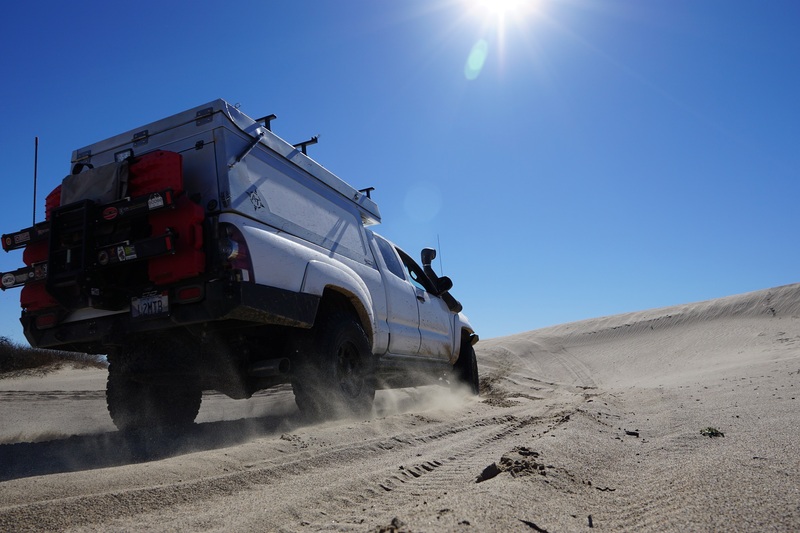 A great advantage of deploying the tent to the rear of the vehicle instead of the front, besides preserving the ability to keep a loaded roof rack, is the additional covered space at the rear of the truck. 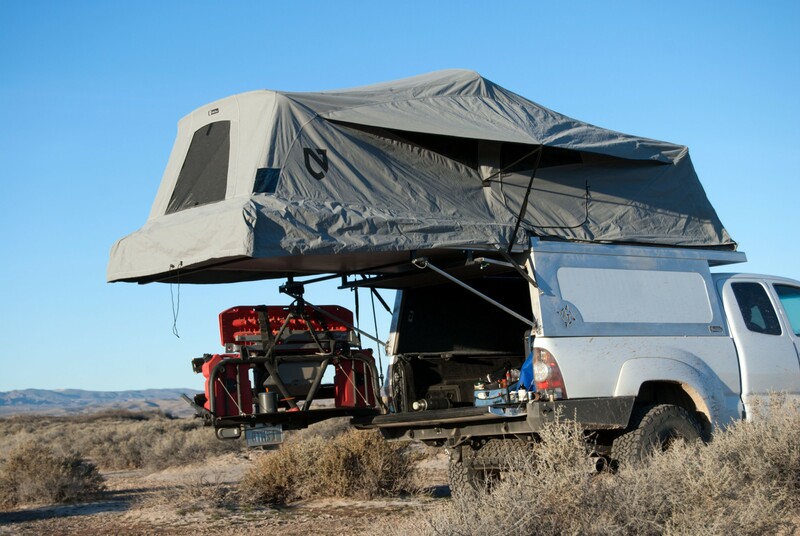 Since most cooking, planning, and generally BS’ing happens near the tailgate, the Habitat serves as the perfect awning on sunny or rainy days. One final advantage of the aluminum is its increased strength and load capacity. 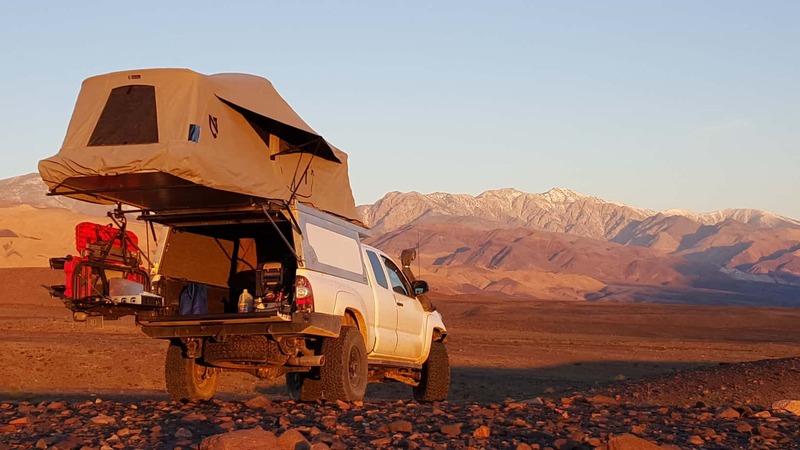 The new roof line allows for adjustable cargo track to be mounted on its surface, providing plenty of space to tie-down luggage, canoes, kayaks, or other miscellaneous gear. Need a secondary bonus? It’s the perfect place to hop up for a photo. The fit and finish of this first prototype was excellent, so I would expect the future production models to be even more outstanding as they hone in the process. AT isn’t releasing pricing information until March 1st, but rumors put it at a reasonable range right between the truck-cap and slide in markets. 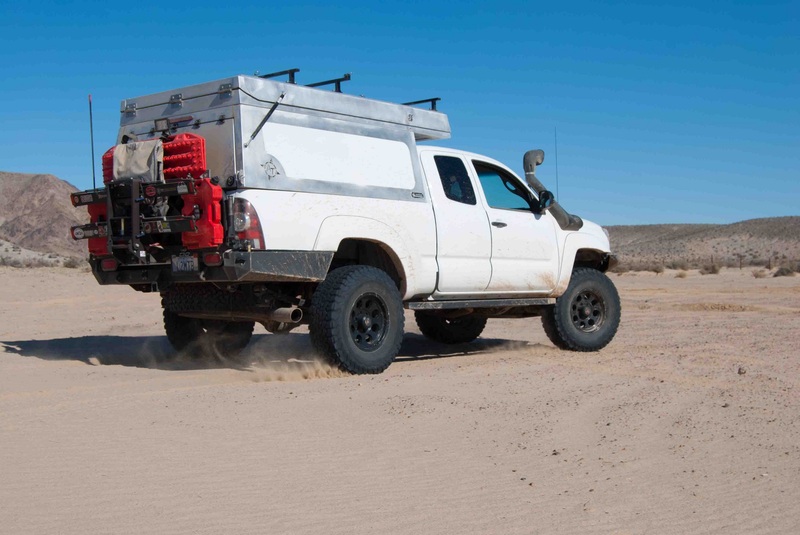 It will be initially available for the 5′ and 6′ Tacomas, and production will begin on March 15th. We look forward to seeing these out on the road soon, and hope to give a more detailed review in the near future. Until then, check out the additional photos and specs below.